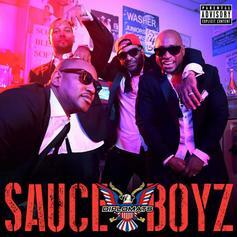 The Diplomats Are Back In Excellent Form On "Sauce Boyz"
The sauce bosses flex hard. The Diplomats and Drama unite on "Stronger." 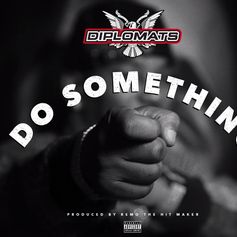 Listen to the CDQ of Dipset's new single "Do Something." 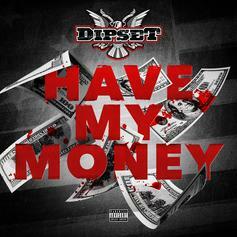 Dipset drop off the CDQ version of their single "Have My Money." Listen to Big Money , the latest track from God Kain, featuring Cam'ron & Freekey Zekey. The cut dropped on Monday, October 10th, 2011. Listen to Gun Fire , the new track by Vado featuring Freekey Zekey which was dropped on Sunday, September 25th, 2011. Check out East Side Locked & Loaded (Nate Dogg Tribute), the latest from Freekey Zekey which features a guest appearance from Hell Rell on the. The track was released on Saturday, April 2nd, 2011. Give Home To You feat Freekey Zekey a spin - it's the latest release from Verse Simmonds, having dropped on Friday, December 31st, 2010. Bump Get Money, the latest cut from Freekey Zekey featuring Sen City & J.R. Writer on the assist. It was released on Sunday, November 7th, 2010. Listen to Gotta Body (Remix) (Prod. 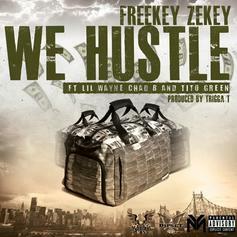 By Zaytoven), the new track by Freekey Zekey featuring Jim Jones which was dropped on Saturday, August 14th, 2010. 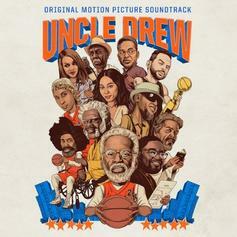 Check out Harlem, the latest from Freekey Zekey which features a guest appearance from Cam'ron, Sen City & Vado on the. The track was released on Tuesday, June 29th, 2010. Have you heard Freekey Zekey's new track Live Your Life? It dropped on Tuesday, January 19th, 2010.